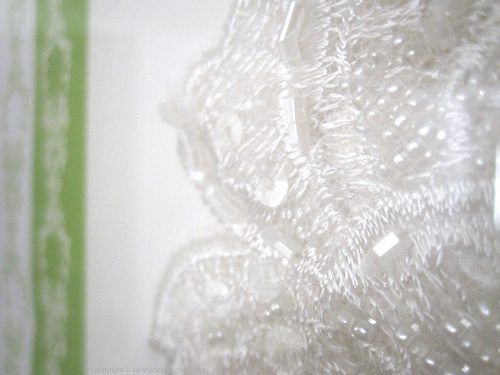 A bit of detailed lace, an offcut from when my wedding dress was being made. I framed our invitation and other wedding paraphernalia and embellished it with the lace. As green is my favorite color, our wedding invitations had a green design which I then used on other items. thanks :) it's actually the border on my ketuvah.